Most people probably don’t spend much time thinking about the ventilation system on their roof. But ventilation is an important aspect of maintaining your home and keeping it comfortable. The general rule for attic ventilation is that a minimum of 1 square foot of vent area is needed for every 150 square feet of attic space. That amount can be cut in half to 1 square foot of vent area to every 300 square feet of attic space if the ventilation is balanced on the roof with 50% of the ventilation placed low on the roof, near the eaves and the other 50% placed high near the ridge or peak. 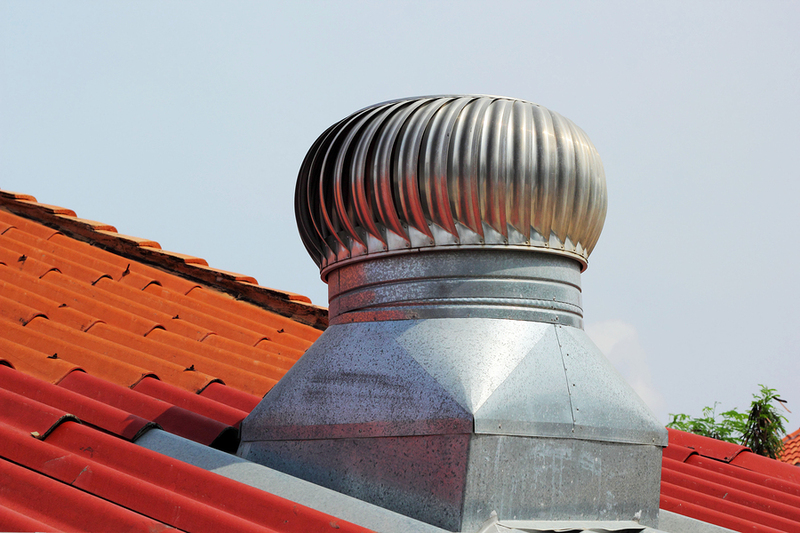 You can see ventilation plays a significant role in your roof design and function. 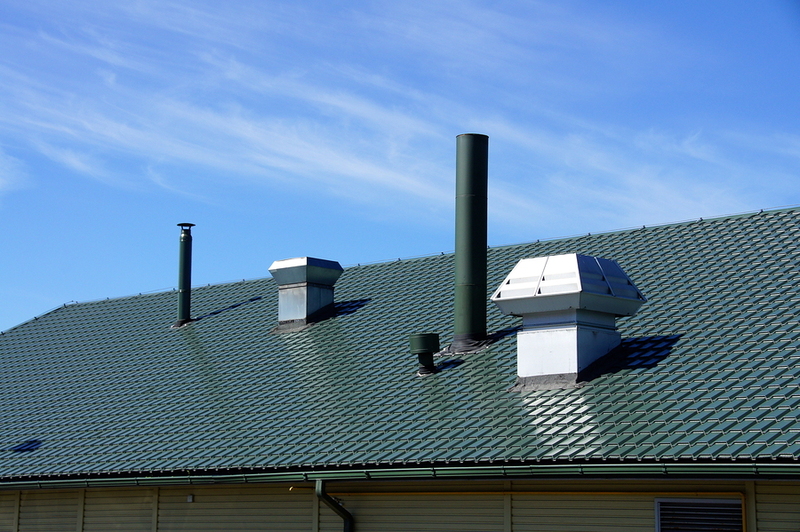 Here are a few things to know about your roof’s ventilation systems. What is the Purpose of Roof Ventilation? The general purpose of attic ventilation is to keep attics cool in the summer and dry during the colder months. Encouraging natural air flow and circulation makes your home more comfortable by providing a way for hot, moist, or stale air to leave the house. Attic ventilation is important in both hot and cold climates. In cold climates, warm air trapped in an attic during the winter can cause snow to melt quickly and then refreeze as ice. Ice dams in the roof can be destructive to shingles and gutters. Hot air that condenses in an attic can contribute to mold and mildew growth. In hot climates, a properly vented attic allows hot air to escape from the attic and roof area to lower the overall temperature of the building and reduce the cooling load on air conditioners. 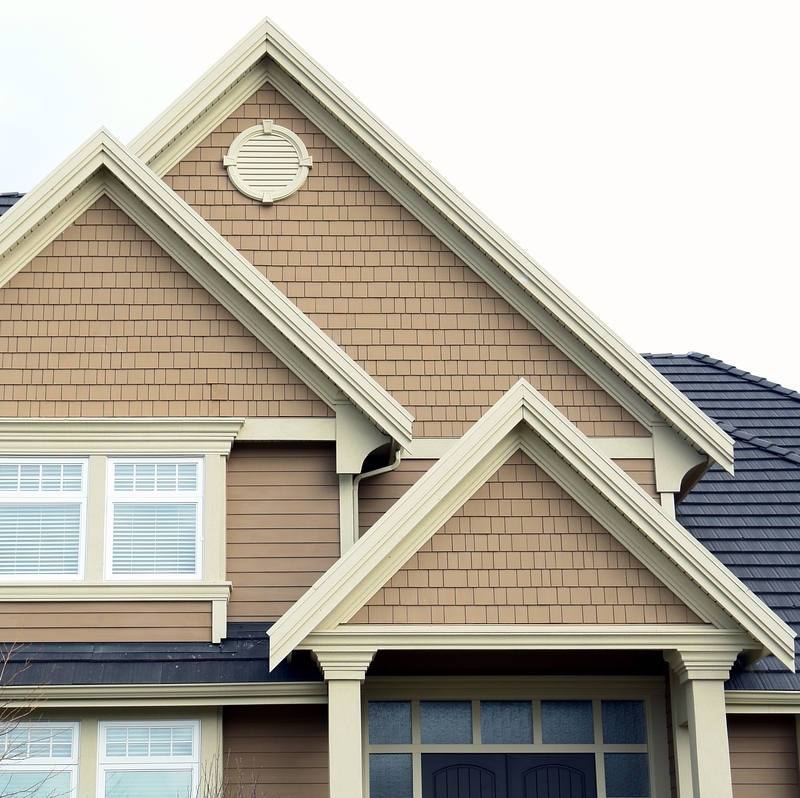 In hot climates, the lack of adequate ventilation can cause asphalt shingle roofs to wear prematurely and will also void most manufacturers material warranties. It can also lead to the failure of the roof underlayment of clay and concrete tile. A well-designed and properly installed attic ventilation system, accompanied by good attic insulation, will provide excellent temperature and moisture control to protect your home from unnecessary damage and help maintain comfortable internal temperatures year-round. A roof ventilation system works by providing a continual flow of air through the attic space, helping remove overheated air and moisture from the attic and roof system and reduce the impact of changing temperatures and moisture conditions both inside and outside the home. The system that allows the ventilation of air to take place consists of intake vents and exhaust vents installed at strategic intervals in the attic or roof area. Several different types of vents may be used in different locations to provide for attic air to circulate in the right amounts and directions throughout the roofing system. Correct design and construction of the ventilation system is critical. The roof design should provide plenty of air space for insulation and air flow under the roof and eaves. And, a correctly designed system will precisely balance the intake and exhaust ventilation under the roof so that the attic is slightly pressurized, preventing conditioned air from being sucked out too quickly through the vents, thus increasing heating and cooling costs. What Kinds of Roof Vents are Used? A few common types of vents used in roof ventilation systems include static vents, ridge vents, and gable vents. Static vents are horizontal openings, basically vent-covered holes in the roof that allow air movement to take place. Ridge vents run along the peak of a roof. This type of vent provides an external baffle to increase the airflow and protect your home from rain and snow. Gable vents are inserted in the ends of the attic and can be used in conjunction with other kinds of vents. If your home is properly insulated, it is working together with your well-designed attic ventilation system to keep your energy costs down. Properly placed and installed insulation prevents unnecessary venting of heated and cooled air that keeps your home comfortable. Your insulation will keep the conditioned air in your living space, where it belongs while your ventilation system will circulate only the attic air and make sure that it is properly vented along with unwanted moisture or excess summer heat. Be sure you don’t pile possessions into the attic on top of insulation. This can prevent it from doing it’s job and add to your heating and cooling costs. 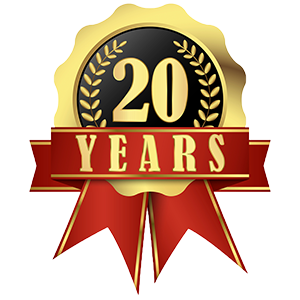 Your roof ventilation system should be inspected along with your roof at least every few years. Inspect for weather damage such as cracks, loose vents or broken or missing tiles around vents. Look for anything that may be blocking the vent, such as leaves and other debris. 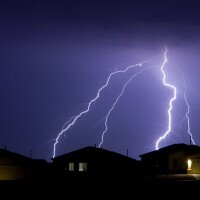 It’s a good idea to inspect the inside of the attic or roof deck for damage from moisture. And, be sure inspect your attic insulation to see that it is in good condition and properly placed so your home is well-insulated against outdoor temperature changes. For help with a roof ventilation system inspection, roof maintenance or repair, or replacing or building a new roof, contact the experienced team at Prestige Roofing. What do you know about Gutters and Downspouts? Is Your Roof Ready for El Niño?